Danny Dragon decides to write a letter to The Master Dragon for help. 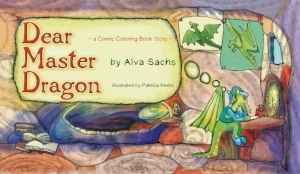 Will The Master Dragon write him back or will he have to solve his problems by himself? Join Danny on his adventure as he discovers what it is like to be a REAL dragon. The Fly with One Eye follows an imperfect toy’s quest to belong as she grows from an outcast among the sale rack of toys to a hero. After the store closes for the night, one of the toys finds himself in trouble. It is the fly with one eye who brings everyone together and shows that we can’t be defined by our differences. Bats are NOT scary! Little Boy Bat lives under the Congress Avenue Bridge in Austin, Texas. One day he overhears some human kids saying mean, nasty things about bats. He decides to write and illustrate a book so that he can teach those human kids some facts and the truth about bats. 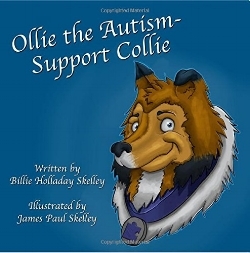 Ollie the Autism-Support Collie provides an easy rhyming text and colorful pictures to help children understand how support dogs provide comfort and security. When puppies Lindie Lou, Jasper, Topaz, Ruby and Diamond are born in St. Louis they have no idea of the adventures that await them. Each of the books in the series take place in a different place and in a different month of the year. Three clues at the end of each book give the reader hints as to where Lindie Lou will go on her next adventure. Follow her to Seattle, Des Moines, New York, San Diego, Tokyo and more. Dilby R. Dixon was no ordinary 10-year-old boy. He was an outcast, the odd kid in school. To occupy his time, Dilby turned to his wild imagination as he would dream of the most unbelievable places and have the most amazing adventures. From these dreams, he created a secret journal of weird words that he called, the Dilbonary, which he took it everywhere he went, guarding it with his life. 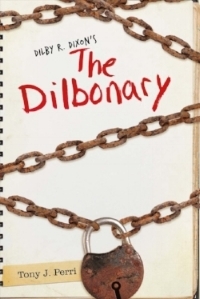 No one knew the Dilbonary existed, that was until the 6th grade when Riley Rogers, the school bully, got a hold of it, setting off a chain of events that would alter Dilby’s life forever. Trouble is brewing in the province of Ling-xiu when the murder of an elderly queen sends young Princess Bingsong into exile at a forgotten mountain villa. When a series of hauntings begin and she finds her father’s old diary, Bingsong, her handsome bodyguard Azuma, the villa’s mysterious steward LimTamm, and teenage servant girls Peitho and Lysithe are drawn into a 400-year-old murder mystery hinted at by a string of small nightingale paintings. The Hiccup's Hiccups series was written with the intention of teaching children to embrace their differences and to cultivate the values of empathy and kindness. With shorter chapters, bigger print, and a few illustrations, these hilarious chapter books will entice and enrapture even the most reluctant readers. Bacon's Smooching Adventure celebrates diversity and how wonderfully unique we all are. 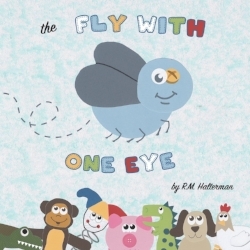 This book is fun, whimsical, and empowering to children who care about animals in need. Can a five-year-old make a difference in our world today? Can she dream a big dream and make it come true? Follow Leyni as she explores the possibilities of her dream in Leyni's God Adventure. Leyni's true experiences inspired this story. "How did our universe form?" Annabelle & Aiden wonder. Luckily, the friendly Tardigrade Tom answers by taking the children on their biggest adventure yet! Soaring through space and time, they witness the universe's earliest stages, marvel at the big bang, and learn how each and every one of us is literally made of the same stardust. 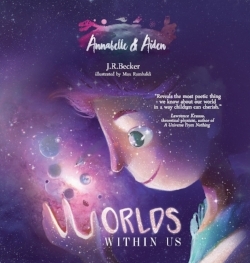 Readers will be empowered, learning how we each hold a part of the universe inside us, and are far more special, interconnected, and “larger” than we may think. Just think how much fun it will be to imagine and draw all your own art. You get to add your name, photo, and share about yourself as the artist of the book. 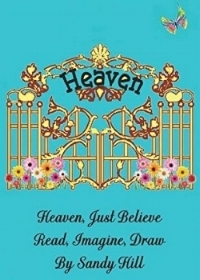 The Imagine Book is a companion book to the illustrated version, Heaven, Just Believe. 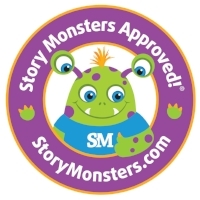 Is your book Story Monsters Approved? 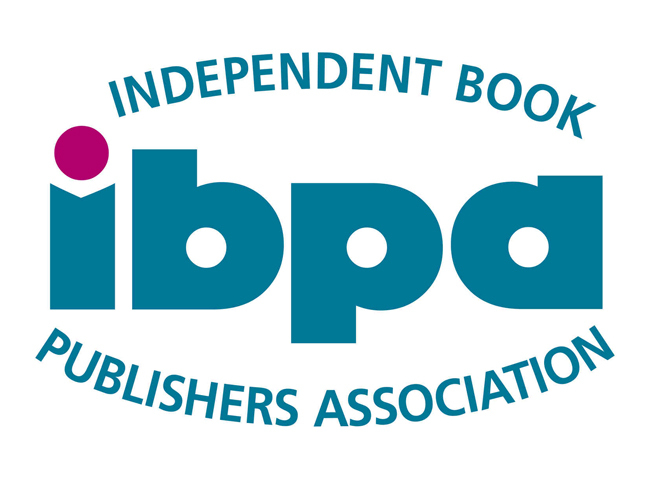 Enter today at www.DragonflyBookAwards.com!